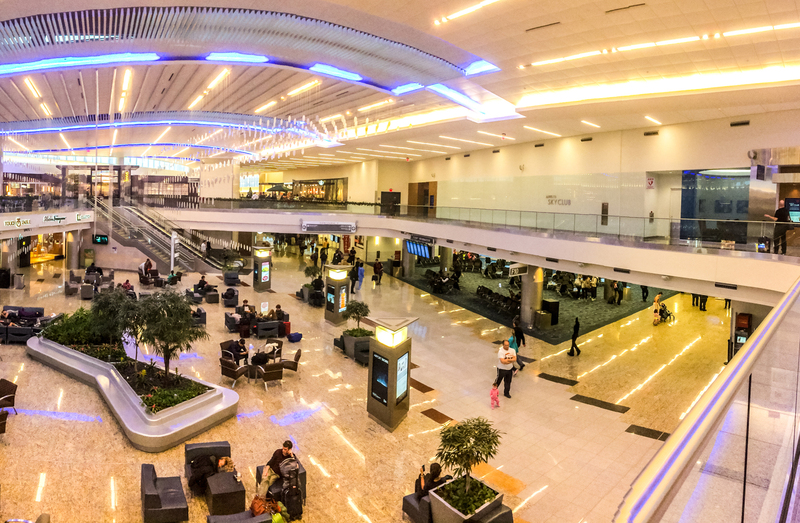 Earlier this summer, I was hurrying through the Atlanta airport to catch a connecting flight, waiting for the train to the next terminal, when a young mother pushing her son in a wheelchair rolled up beside me. I recognized the two of them. I had seen them in the Gainesville airport earlier that morning. The boy was a handsome young man, 10 or 12 years old, and I surmised that he suffered from some type of neurodegenerative disease. He was fully engaged in a video game, some type of flight simulator. I guessed it likely they were traveling to get specialized medical treatment, perhaps participating in a clinical trial at UF or elsewhere. 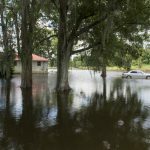 Every day, researchers at the University of Florida are working to change the trajectories of people like that young man. They are working to understand the microbiology of disease, improve therapies, and develop better diagnostics for a host of illnesses that impact millions. They are inventing technologies to better protect our computers and smartphones from cyber attacks. They are studying the impacts of urban expansion, climate shifts and invasive species on ecosystems and agriculture. Tackling these endeavors takes remarkably talented people, research faculty who dedicate their lives to answering questions that will benefit others. This work requires a complex scientific infrastructure and skilled administrative support to enable them to focus on what they do best. 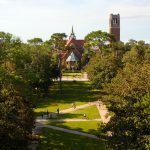 This is why we within the Office of Research show up for work every day here at the University of Florida. 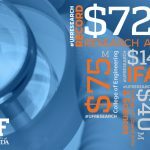 We are constantly examining the research workflow – identifying grant opportunities, meeting proposal deadlines, managing awards, and ensuring financial accounting and regulatory oversight – so our university researchers have the best opportunity to make a difference in the lives of people in our state, this nation, and around the world. 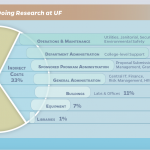 Over the past few years the Office of Research has implemented numerous changes designed to improve the faculty experience – like UFIRST that modernized the grant submission process, and MyInvestigator which significantly improved the access faculty have to grant financial account information and balances. We continue to look for ways to better serve UF researchers in operating more effectively and efficiently. When I made it to my connecting flight in Atlanta, waiting at the gate to board for my next destination, I saw two familiar faces rolling up to the same gate, that boy and his mom. It seems I could not escape them. It seems I never can escape them. Sometimes reminders of why we do what we do come unexpectedly, in places and times that we do not anticipate. For me, it came at the busiest airport in the United States. I realized anew that it’s about that young man in a wheelchair and his mom, and countless other challenges just like theirs. It is why we within the Office of Research are here at University of Florida. As we head into a new academic year, we look forward to partnering with folks across the UF community to better support the research mission of this great university.